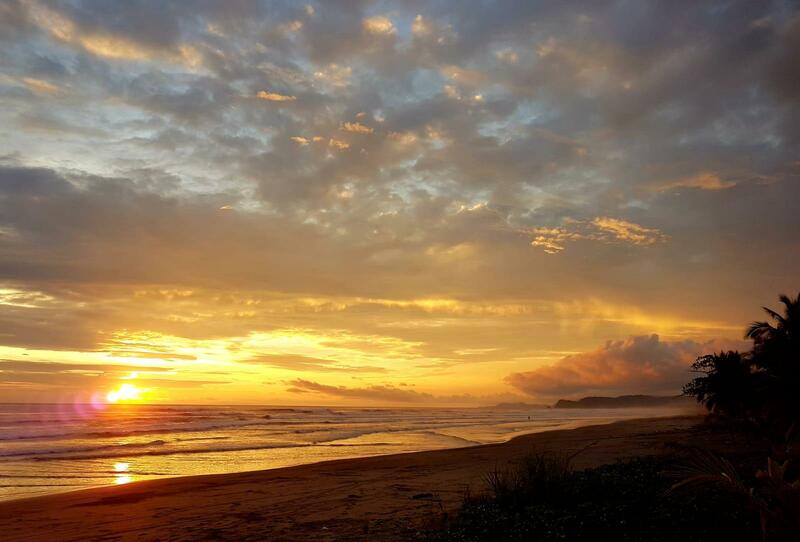 Costa de Oro is a small beach town on the Pacific side of Costa Rica’s southern Nicoyan Peninsula. 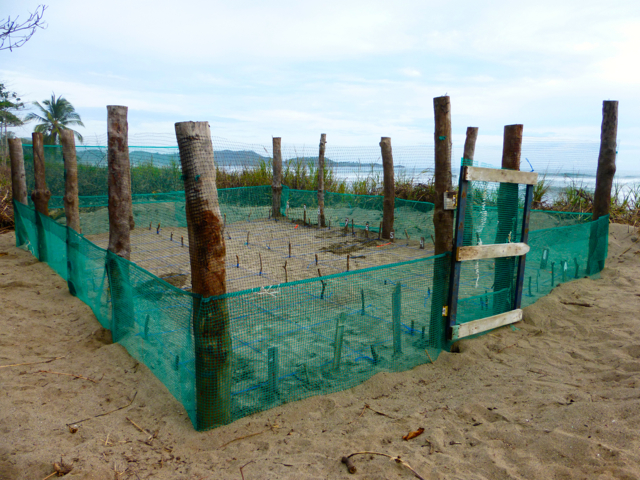 The project station house is on a beach-front property in the middle of the town. The beach is primarily an olive ridley (Lepidochelys olivacea) sea turtle nesting beach, but eastern Pacific green (Chelonia mydas), leatherback (Dermochelys coriacea), and hawksbill (Eretmochelys imbricata) nesting events also occasionally occur. 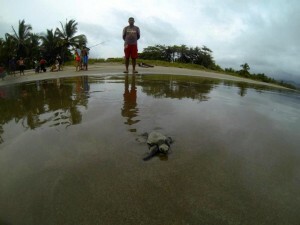 More than 500 sea turtles nest on this beach every year. You can participate in this project as a volunteer (July – December 15th) or as a field coordinator or assistant (June-December 15). This sandy beach is 4.5 km long, and is bordered by the Javilla estuary in the north and the Coyote estuary in the south. Across the Coyote estuary there is another small beach, Playa Coyote, which has a small fishing port and a couple local restaurants. The nearest town to Costa de Oro is 4 km away, which is a 45 minute bike ride or a 15 min bus ride. There, volunteers have access to two grocery stores, a few restaurants, a hardwood store, a school, and the police station. The community has less than 100 year-round residents. El Barco is the only bar/restaurant at the beach and it is located 300 meters from the station house. It offers delightfull food and drinks and a reliable Wi-Fi. There are no supermarkets within the community, and many of the houses located along the beachfront are vacation homes that are uninhabited for the majority of the year. Volunteers have the choice to stay in the station house or in a private accomodation. 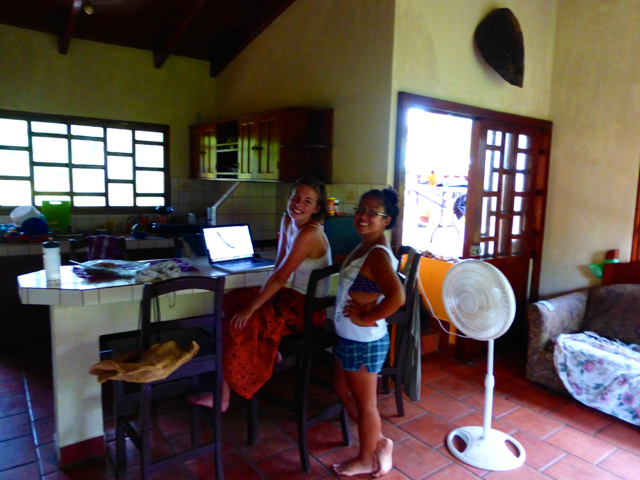 The project coordinator and research assistants live in the station house and this is the base for all of the turtle work. The Station House is situated 50 metres in from the beach; it has three bedrooms with one or two bunk beds in each. There are two bathrooms, a kitchen, small living room, and two outside patio areas. There is a large yard at the back of the house full of coconut trees and plenty of space to put up hammocks. Food is brought into the project by Turtle Trax personnel; breakfast is prepared by project participants, lunch and dinner are prepared by a local cook. Meals typically include rice, beans, pasta, and a wide variety of fresh fruits and vegetables. There is electricity and portable running water but no hot water at the station house. There is no washing machine, however volunteers can pay a few dollars to have a local wash their clothes or they can hand wash themselves. Volunteers can walk or take the bus to the town of Coyote where they can use free wifi at the Turtle Trax office. 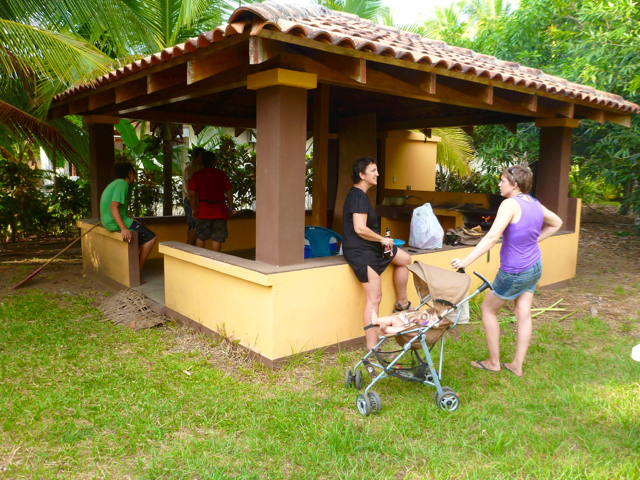 These beautiful private cabinas at Costa de Oro are a perfect place for families, groups or couples to stay whilst volunteering with the sea turtles. 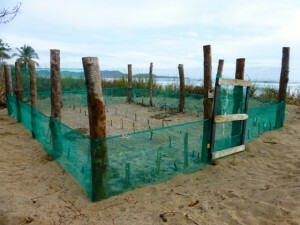 They are located right next to the station house and 100 metres from the beach. 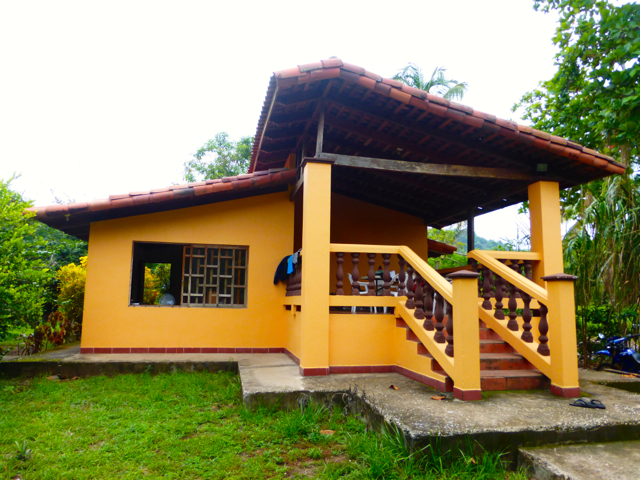 These cabinas are newly refurbished and consists of bedrooms with single or double beds and private bathrooms. Outside there is parking, kitchen, a swimming pool, and a large ranch style building with plenty of room to put up your hammock and relax in the shade. Volunteers will be provided with breakfast, lunch and dinner at the station house. Volunteers staying in these cabinas will do the same activites as volunteers staying at the station house.